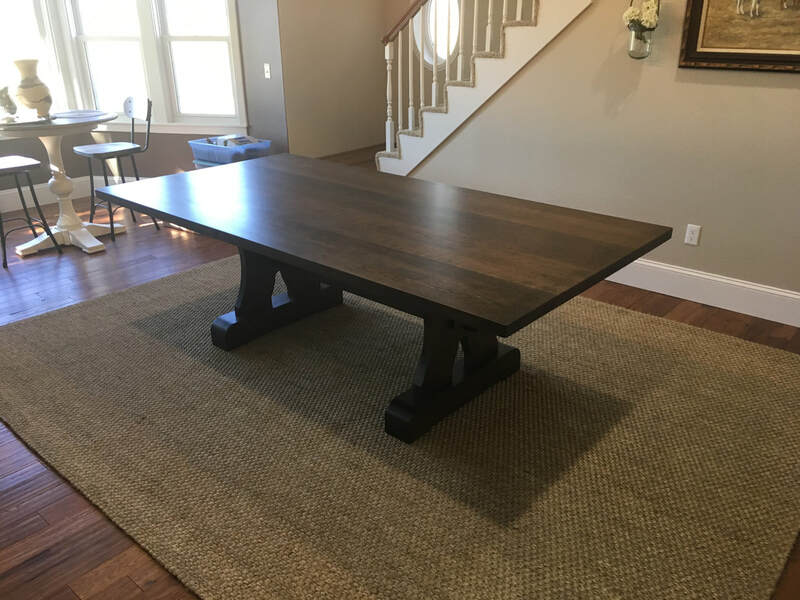 Furniture built to order with the customer selecting the type of wood, color of stain and size to fit their home perfectly. 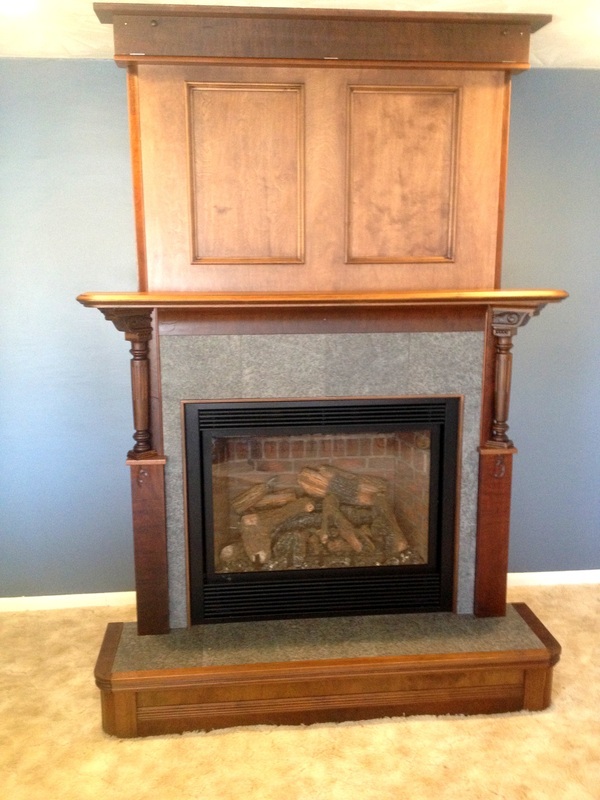 A woman had salvaged an old upright piano and wanted it used to build a new fireplace surround in her home. Rex created a design using pieces of the piano and finished it off with new tile and crown molding. Her next project is to have Rex custom build surrounding bookcases and an entertainment center. Custom frames are designed to match your home or office, adding the sophistication of well-crafted frames for your art. Most fine woodworking projects require the best and most perfect lumber available. 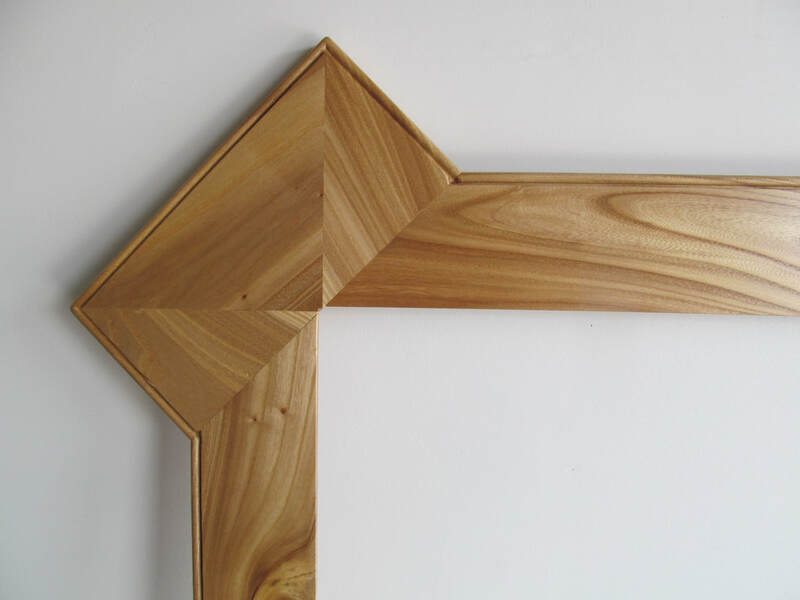 Rex is taking the opposite direction making frames with locally milled Nebraska lumber that was recently purchased from the family of a man who collected and milled lumber for many decades. 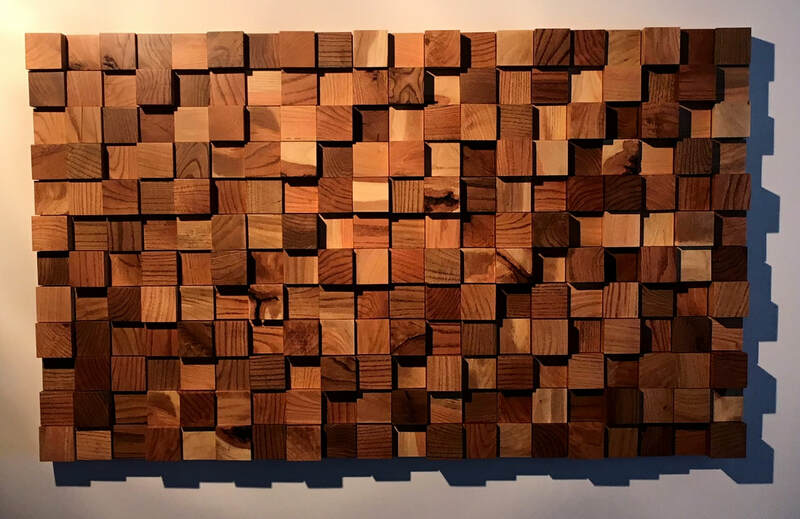 The beauty of this lumber is in its imperfections including ash with worm holes and knotty walnut with extreme color variations. Rex has been making a variety of frame styles to showcase the artwork of Dennis Miller and Jean Jensen. 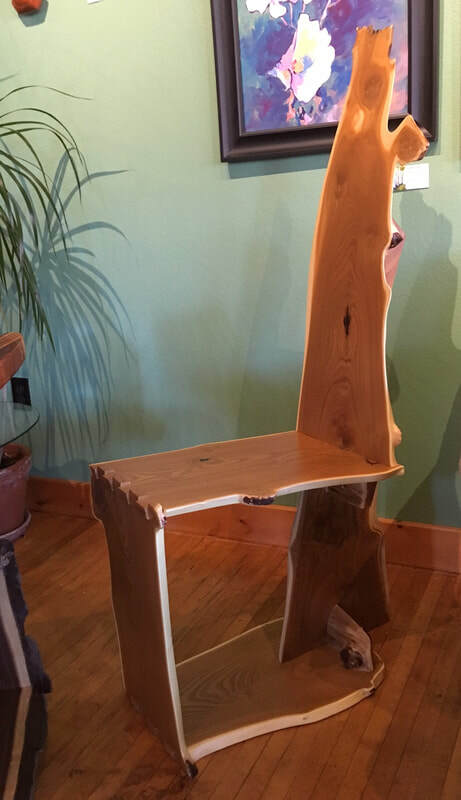 Their local scenes and subjects are enhanced by the local wood. Frames can be seen at The Most Unlikely Place Café and Gallery. 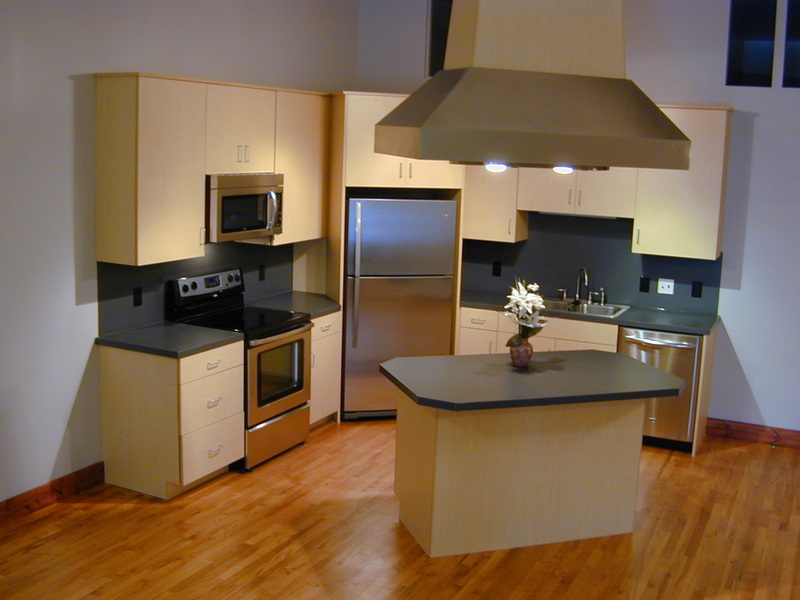 These very modern kitchen cabinets were designed and built for a small one-bedroom apartment blending very modern with 1920's architecture. The owners of this home wanted a stairway to heaven - or, specifically, a loft to view the prairie. 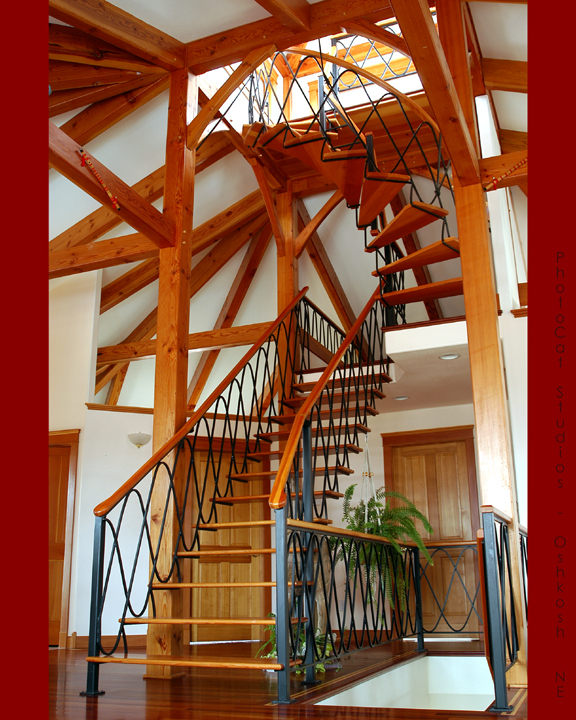 Rex designed the staircase and built the steps, posts and bent-wood hand rails. Rex first dreamed of a rocking dolphin and created a carved piece soon to be joined by a rocking seal and rocking sea horse. 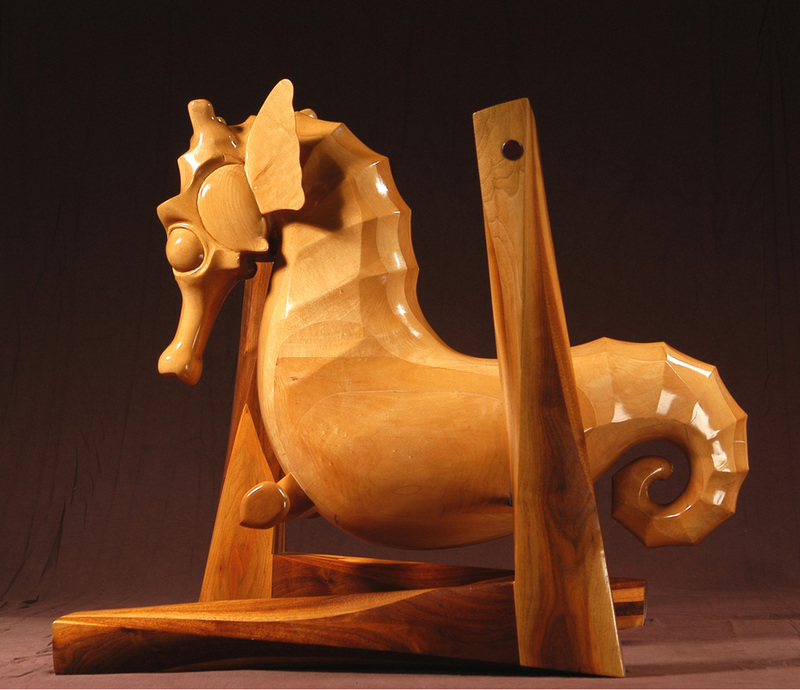 Many of his sculptures and etched glass pieces have been designed for specific clients.